Note: WordPress provides me with your registered email when you leave a comment. If you just like the post WordPress will not give me your email address and Mr. Kandiliotis will be unable to send you the book. Thanks again to Bill Kandiliotis for suggesting the giveaway. I have enjoyed the Pearseus series. Perhaps you would too. 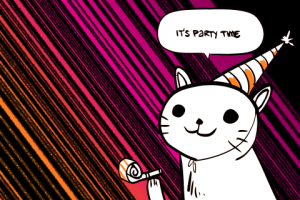 Nicholas Rossis is giving away one of his books of your choice for his one-year anniversary since publishing Schism so hop on over to his site if you want to try something new. 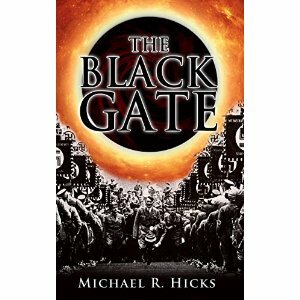 I wasn’t feeling well yesterday and I chose Michael R. Hicks’ new book, The Black Gate, to keep me company. I always read a few reviews before I purchase a book and I saw several that mentioned they did not like this book as much as the In Her Name series and therefore gave it a lower rating. I prefer to rate the book based on its own merits rather than the merits of another series so that is how I’m going to handle it. I will mention here that the In Her Name series is one of my favorite new series. In fact I re-read the whole thing after reading the most recent installment. What does that have to do with this book you may ask. Not much really, aside from that series is the reason that I follow Michael R. Hicks and found out about this book. On with the job at hand. The Black Gate was a really fun read. I very much got that Indiana Jones feel from it, but somewhat darker. There is a lot going on in this book and Hicks has managed to somehow wrap it all together to achieve a story that was pretty fun to read. Peter Miller is a really good character and I easily found myself looking at things from his point of view. From the time Peter Miller starts out on his adventure until the end it is pretty much an action-packed ride. I very much got the feel of the old Saturday matinée shows they used to show on TV. As a description think Indiana Jones type relic meets Stargate, with some serious coordinate problems, and bring along the Nazis to try to take over the world with super soldiers. There you have it. A really fun ride with lots of action. Hicks does a good job building the back story for the gate through Peter Miller’s investigations. He created a history and mystery for creating the relic instead of just digging it out of the ground as we find so often. All in all I really enjoyed this book. There were some strange errors in it grammatically/typographically where it almost looked like track changes had been used and the author chose both words to describe what was going to happen (e.g., stepped onto/walked off – that kind of thing, but not those exact words). That was kind of strange and caused me to pause when I found those places, but there were only a few of them. I only mention them because they brought me out of the story to think about the language. I’m not going to say this is high literature or anything, but I really had fun reading this book. It’s not at all like the In Her Name series or the Season of the Harvest series. I think that’s fantastic. 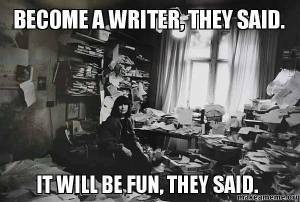 I like to see a writer stretch their mental muscles so to speak. I don’t know if I would be up for a whole series about this, but it was definitely a good standalone adventure and I thoroughly enjoyed it. If you’re looking for a good read that will give you a little of that 1940’s serial adventure feel then I think this will fit the bill. There’s a good story here. Some of it is easier to believe than other portions, but that makes me wonder about what could be and I enjoy that. The characters are interesting, believable and do their jobs in the story. I would especially recommend this book to those that love Indiana Jones or the 1940’s serial adventures, as mentioned above. All in all, a good reading day for me and I enjoyed it. I hope some of you may enjoy it too. I first encountered Peter Cawdron’s storytelling when I found Anomaly on the free book list one day a couple of years back. What a find that was as he’s one of my favorite new authors that’s come along in the past few years. His work has improved each step of the way from the first book I read until this one, My Sweet Satan. Don’t let the title put you off. Nothing demonic here to see, but if you’re interested in a good first contact story that will keep you interested until the last page then you’ve come to the right place. 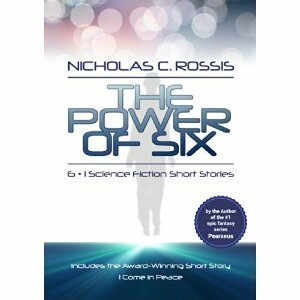 The story begins with a young woman, Jasmine, sitting on her parents porch in Atlanta, Georgia before unexpectedly waking up from stasis 20 or so years later on a spaceship in an older body than the one she remembers leaving. The spacefarers are on their way to Bestla, one of Saturn’s moons with the most eccentric orbit of any known moon in the solar system, to investigate the source of an eerie message that began transmitting when the moon was mapped by an unmanned probe. The message is one that mankind would never have expected to hear from space and the words they hear trigger ancient fears, “I want to live and die for you Satan.” Needless to say this message raises a multitude of conflicting feelings regarding the mission not only with the crew, but with those in charge on Earth. That is the ease you into it beginning of the book. From there on out it’s an adventure. The characters are vibrant and alive. I could easily imagine the characters in this book nestled in their ship as they travel toward Bestla. Peter Cawdron introduces us to an advanced AI and I have to say that he did a fabulous job showing the AI as a character that is not only sentient, but has feelings. I’ve read a lot of science fiction and watched more hours than I care to admit of Star Trek and the like. Where Data was less than complete because he lacked human emotion, Jason succeeds. This computer has feelings. He can carry on a conversation, joke around and empathize with you when you are feeling down. Whether that is a good idea or not, I’ll leave up to the reader. I spent the rest of the book pretty much on the edge of my seat, or bed as the case may be. There’s a lot going on including conflict among the crew regarding the mission. Jasmine, or Jazz for short, is totally out of her depth in this strange situation. Her loyalties are taxed by the unfamiliar people around her. They all obviously know her, but aside from her boyfriend from the past none of them are familiar to her and she isn’t sure who to trust. With no memories of her training or the past 20 years she is completely unsure of how to proceed in the vacuum of space. Fortunately, I guess, Jason makes a special effort to help Jazz through her ordeal as he is the only one she confides in as to the total lack of memory she is experiencing. This was a fantastic read and I really enjoyed it. I could talk about this book all day. In fact, I can’t wait for one of my friends or my son to read it so that I’ll have someone to discuss it with. I can easily see this as a movie (hint, hint to any Hollywood types). The story was that good. I could easily picture the scenes in this story with no effort and found myself caught up in the adventure and fears experienced by the crew. I don’t want to give any more details for fear of spoiling the book. I will tell you that Satan is the least of the worries in this story and that the crew’s encounters are what will have your heart thumping. I’m actually on my second run through the story. I was a beta reader on this book so the first time was a more serious reading experience. The second run is just for my enjoyment. 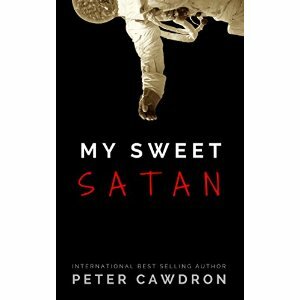 Peter Cawdron was kind enough to agree to answer a few questions about My Sweet Satan and you’ll find that interview below. Happy reading. TJ: Thanks for agreeing to take part in an author interview. We’ll just have to pretend that I didn’t read the notes at the back of the book for this exercise. The obvious first question is regarding the title. Aside from the shock value of having the first message from space be, “I want to live and die for you, Satan,” what made you decide on My Sweet Satan as the title for this novel? As far as titles go, it’s not the most savvy or commercially astute of titles, and there’s a risk the title will put readers off before they have the chance to consider the story on its merits, but I want the reader to realize up front that they’re in for a wild ride. Hopefully, they look beyond the title and read the reviews. If they do, they’ll realize nothing is what it seems in this novel. TJ: Jasmine was a great character. She was easy to relate to and was obviously out of her depth through a lot of the story. I don’t want to give away too much of the story or her interactions with the other crew members, but what made you decide to have her be such a fish out of water with regard to the other explorers on the mission? Peter: Good question. Ultimately, the protagonist of every novel is the reader themselves. Jasmine is a proxy for the reader being swept along on the journey, beginning with the disorientation of space flight, the confusion of interpersonal conflict, the fear of death and the awe of discovery. I didn’t want her to have any hidden advantage over the reader. I thought it was important for the reader to see this fictional world afresh through her eyes. TJ: You gave a shout out to Arthur C. Clarke regarding JCN or Jason. I did notice some similarities between Jason and HAL, but you did such a good job with making the AI into a credible character. What made you decide to include Jason as a character? Peter: Artificial intelligence is an emerging field, and with that comes both hopes and fears. I wanted to capture both of these aspects in Jason’s character. He had to be more than a thinking machine. He had to be truly alive, driven by the same desires, concerns and feelings we have. By showing an AI as someone Jasmine can relate to and confide in, I hope I’ve conveyed how this technology could mature into something far more realistic than Siri and the other slavish computerized simulants we have today. TJ: Jasmine and Jason develop an interesting relationship throughout the course of the book. He is friendly, attentive and seems concerned about her well-being enough so that she initially has little problem accepting him as a crew mate. Tell me a little bit about creating this character and how you decided on his personality traits. Peter: In most stories, artificial intelligence is depicted as intelligent, even sentient, but never really human. They’re generally a poor substitute, lacking in some way, such as emotions. I wanted Jason to be realistic, indistinguishable from anyone else on the crew, so much so that his life counts as much as any human’s, and I think that gives MY SWEET SATAN a unique angle on the concept of AI. When AIs emerge from the pages of science fiction into the realm of science fact, we’re going to be faced with a moral dilemma as to the value of their lives, and I thought that was an interesting angle to explore. TJ: I’m especially fond of first contact stories and you have done several. I find that a regular part of your stories is to examine how we as a species react to first contact. In Xenophobia you showed how fear of the unknown can influence people’s reactions. In Anomaly, you showed a somewhat more rational approach to the arrival of aliens. What drives you with regard to first contact stories and human reactions? Peter: Science fiction is fiction, and as such its value is in entertainment, and yet it does provide an opportunity to role-play possibilities, to consider possible outcomes and speculate on what could occur with First Contact. I think that’s important as fiction is a major catalyst behind developing empathy. Fiction allows us to see life from another perspective. When it comes to First Contact, it’s likely to be quite mundane and boring compared to the books we’ve read and the movies we’ve seen, and yet they have provided us with a test bed for ideas. They’re a dry run, an opportunity to think about what could happen and align ourselves with what we think should and should not happen. As you’ve noted, I’m more interested in the way we might react as a species than the actual First Contact itself as the form, fashion and manner of alien life is largely unknowable, but we know ourselves. We might not be able to predict what ET is like, but we can predict how we will react to ET, and that’s important to understand. TJ: There was quite a bit of misdirection in this book, which I fully enjoyed. I can’t share the end of the story with those who have yet to read the book, but I’m curious about the team dynamic of those aboard Copernicus. The crew is obviously reacting to outside influences as well as those of their fellow crew members. In all, the crew’s interactions and reactions to one another and their circumstances are influenced in ways that they are not aware of, which lends an air of mystery to the story. Do you start at the conclusion and work your way backwards to drop hints in the appropriate places, write freestyle or storyboard the main points of character interaction ahead of time? Peter: I do a rough sketch, but I try not to get too detailed before jumping in and writing as life isn’t scripted, and I want the story to come across as natural and plausible. When it comes to conflict, emotions overrule logic. I wanted to capture the clash between rational thinking and feelings in the way the characters interact, and have both them and the reader struggling to figure out what they believe about this mysterious alien entity. The greatest ingredient in a mystery/thriller is the reader’s own imagination. Think about the scariest movie you’ve seen. It’s the movement in the shadows that sets the heart racing, and in the same way, I’ve tried to craft a story that keeps to the shadows. TJ: Thank you for taking the time to answer my questions. I’m not much of a journalist so would you like to add any other points that I may have missed? Peter: Thank you for inviting me to be part of your blog. That’s it for today. My Sweet Satan was a well-crafted story that kept me guessing. I thoroughly enjoyed it and was pleasantly surprised by the ending. Other favorites of mine from Peter Cawdron include: Anomaly, Galactic Exploration, Monsters, Xenophobia and Little Green Men. If you love science fiction and you haven’t read a Peter Cawdron book yet, because they don’t carry them at the local bookstore, then you are missing out. It’s never too late to start. 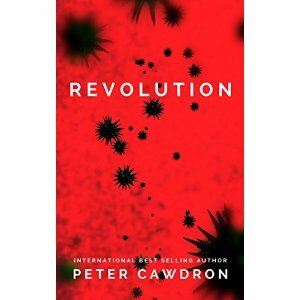 Look for the upcoming review of Peter Cawdron’s new short story, Revolution, in the days to come. Hopefully I’ll get to read it sometime this weekend and have some thoughts posted by next week.